Among the articles that make up men’s clothing, few have a more literal name then the topcoat: it’s piece of tailored outerwear, designed to fit over a suit jacket. 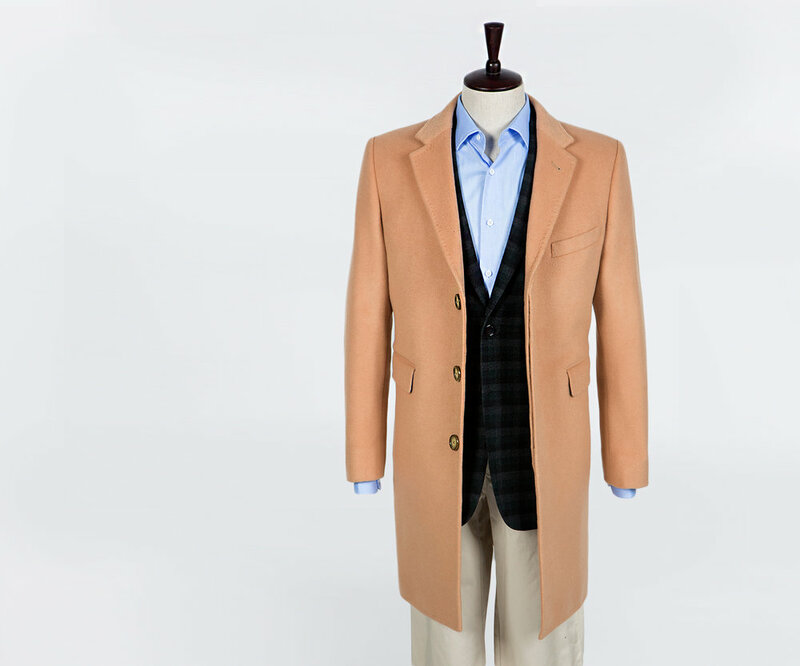 And that is what sets the topcoat apart from other outerwear. A puffer jacket or parka may do a fine job keeping you warm, but they are not made to fit over the structure of a suit jacket. As a result, the fit may come up short, wrinkle the suit jacket, or just feel awkward. Topcoats are long enough to cover any suit jacket, and sized to be slightly larger than the suit jacket you will be wearing underneath. That way they will be able to slide over effortlessly, like two pieces of a puzzle coming together. The topcoat is, of course, a fit for any suited look. But the fact that it is outerwear—something meant to be removed once you enter a formal setting—naturally makes it a little more casual. That means that it’s surprisingly versatile with other combinations, like sportcoats and chinos. Although it’s designed with tailoring in mind, there’s no reason it won’t go well your favorite plaid shirt and a pair of jeans—it might even dress them up a bit.